Hopefully, the new LS is the first step in this direction. It is not a copy of anything and the special luxury features, especially the interior, are uniquely Japanese. It will succeed or fail based on how the market receives this new definition of a luxury car. Infiniti failed initially because the ads were directed to the Japanese idea of luxury which was foreign to the US market at the time. The initial Q-45 was a great car but the marketing failed to convince buyers. Sulu is correct, Korea must establish that it competes well and offers superior value to penetrate the luxe market much as Lexus did initially. 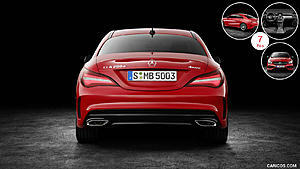 The Genesis cars must be very good and a superior value to establish their place. The G-80 and G-90 are excellent and the G-70 seems to follow. The current trend to crossovers instead of sedans has created problems for them. I personally think they missed a chance to take the Hyundai Santa Fe and turn it into their RX. It would give them a placeholder until the RWD platforms could be converted. My sister-in-law has a Santa Fe Ultimate and it is as nice as my '16 RX-350 with more room. As I think more about it, I am most fascinated by Sulu's concept of Japanese luxury as being separate from German or American luxury. We've seen it in cameras, television, and watches. Lol. Why in the world would someone buy this over the G80? Not only that, the new Azera looks way better. 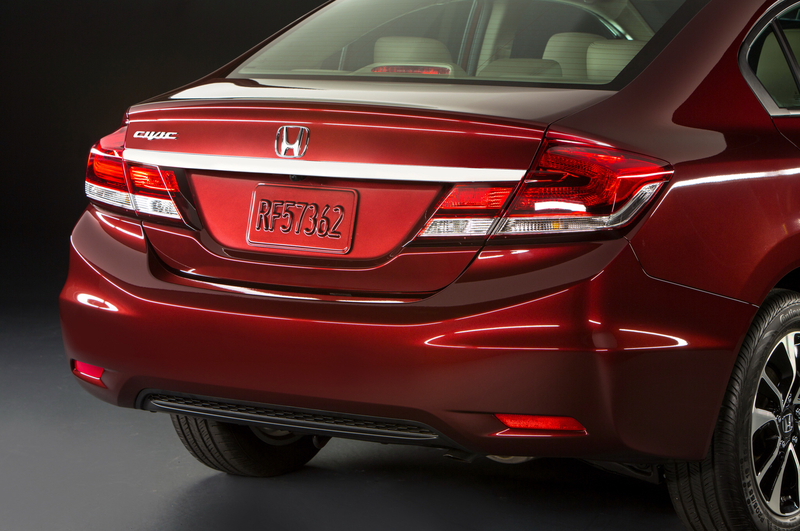 It has full width rear taillights, which is a high ticket piece and why you don't see many cars with it. Last edited by theory816; 09-19-17 at 12:38 AM. Because the G80 isn't really a sport sedan at all. This is is smaller, sportier. The cars will be quite different. I believe the Azera has been discontinued in the U.S. 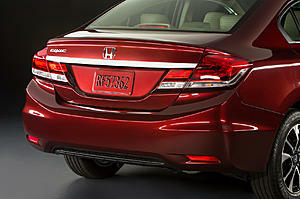 So....what's so special about full-width taillights? I admit that they can look good on some cars, like the Lincoln MKZ and Continental, but I don't see it as that big an issue, or necessarily as a requirement for a vehicle of this class. Sulu - you said early LS was like S class? You must be seeing something differently than me! the original LS was an extremely well built, refined, and reliable luxury car and a crazy good value. as for now working to be more unique, ageed, but it can be a 2 edged sword. I think "l-finesse" and spindle have hurt lexus even if their total sales look ok. I think it's possible to be unique without being super polarizing. The LC and news LS are very positive though. Yes, the American-market version is discontinued at the end of the 2017 model-year. (just FYI, so will the Accent hatchback...but not the sedan). There may be some left over on dealer-lots (last time I was at the nearest Hyundai/Genesis shop not long ago, they still had an unsold 2016 sitting in the showroom LOL). The Azera was a decent car, but it never appealed to many buyers. And then, when a number of people DID go look at it, they often went home in a 1Gen or 2Gen Hyundai Genesis instead, which had a more plush interior, better road manners, except for some ride-stiffness on the 1Gen model, an AWD option, and simply appealed to more buyers. The 2Gen Genesis, of course, became the G80. To be honest, I know of only one person who ever actually bought an Azera ......a candy-apple-red one (one of the older, singles ladies in my housing development). She had told me she was earlier interested in a Camry or Sonata...so I was surprised when she came home with the Azera. That was a couple of years ago, and she doesn't even have it any more....now drives a black Elantra. I didn't ask her out of politeness, but I guess she either couldn't handle the payments or it was totalled. Last edited by mmarshall; 09-19-17 at 07:03 AM. C&D is estimating weight at 3600-3800 lbs, which should be class-competitive. My biggest issue with the G80, which I am otherwise quite fond of, is it's weight. An AWD G80 weighs about 700 lbs more than my AWD GS. Glad to see they did a better job here with the G70's weight. It looks MUCH better in that video than the release shots seen earlier. The rear gives me previous gen Civic / MB CLA vibes, neither of which Iâ€™m not too fond of though. So what? That is just your opinion. I don't really care about people's opinions about style. ok then. why post your opinions on CL? but anyway, you're certainly entitled to not care about others opinions on style. back to g70... and not to sulu since he doesn't care my opinion is that we can likely all see its style is a derivative / mashup of hyundai/genesis, infiniti, mb, bmw, audi, etc. but i don't think that makes it bad. I really like midsize G80 exterior styling. However, new compact G70 styling really dissapoints me. Meanwhile full size G90 styling disappoints me too. If I had to make a bet, I don't think G70 will debut with particularly fantastic sales like G80 at over 30k units/year in relative terms for the compact luxury market. Lexus 5LS has a better chance of selling well relative to its peers than new G70, because 5LS makes up for styling with a lot of new hi tech. G70 really needs to make up for its poor styling to sell. G70 doesn't seem to have high aluminium content, or does it? Also, the 5LS already has a customer base to sell to, while this new compact G70 has no previous customer base to sell to. It's going to be tough moving these bland G70's - I'd rather have an IS any day. Last edited by peteharvey; 09-19-17 at 11:40 AM. according to automotive headlight science and eye science, full width taillights contribute to on road visibility, whether minorly or majorly. I challenge you not to notice a Dodge Durango the next time it drives past you. In in the future, most cars will have full width front drls and taillights. It's just too expensive to manufacture, which is why I tip my hat off to any car manufacturer that offers them. im looking forward to seeing the new Ford Explorer. I believe they will have full width taillights. If that's the case, I rather get that over the radical but good looking Lexus RX. Last edited by theory816; 09-19-17 at 12:55 PM. Agreed, out of the entire Genesis line, its the G80 that seems to be most popular, and its probably due to looking really nice and more upscale than its price indicates. Well, with all due respect, if almost anything drives past me, I'm going to notice it. I keep my mind on the road (and on vehicles ahead), not on the rest of all of today's classic driving-distractions.